To make Broiled Bacon Wrapped Scallops, start by frying bacon, don’t brown edges. 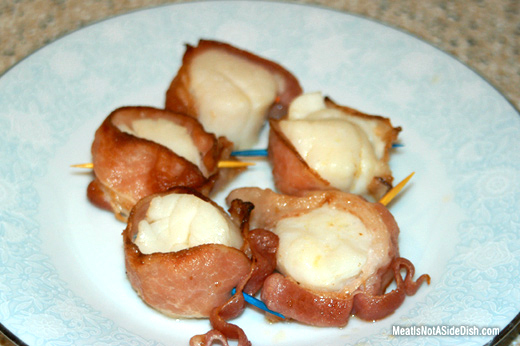 Wrap scallops with half of bacon strip (after cooled), unlike the photo seen here, use a non-colored toothpick to hold. Broil on high for 3 minutes, then flip for 3 additional minutes.